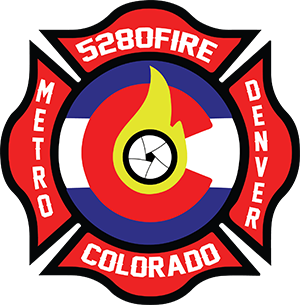 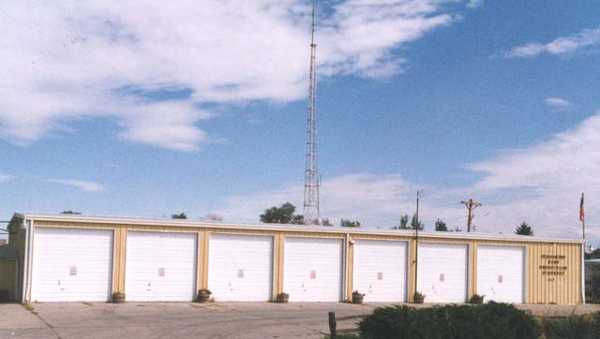 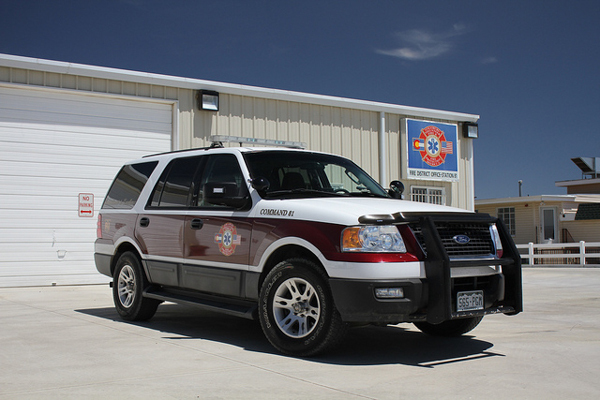 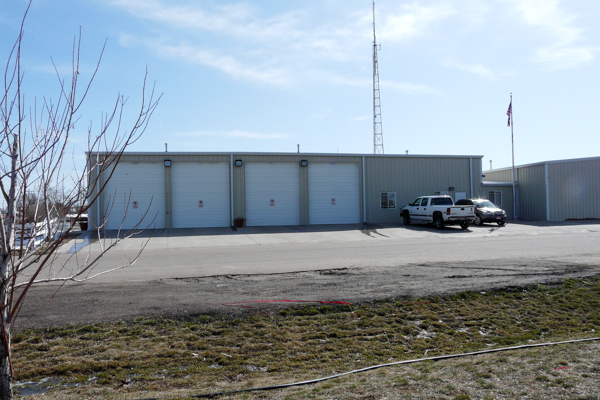 Fire Station 81 is located at 56281 E. Colfax Ave.
(Chief 81) Ford Expedition 4×4. 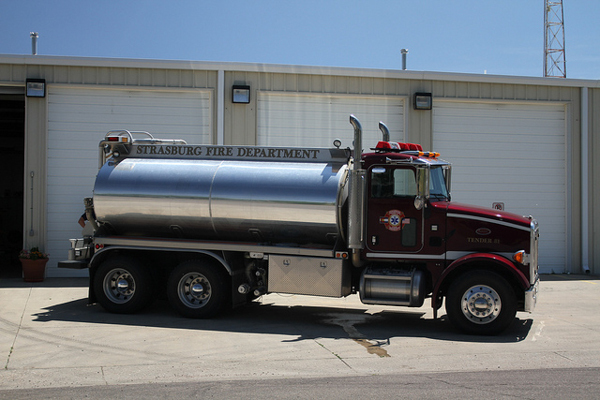 2002 Freightliner FL80 4×4 / Maintainer 750 gallon water tank. 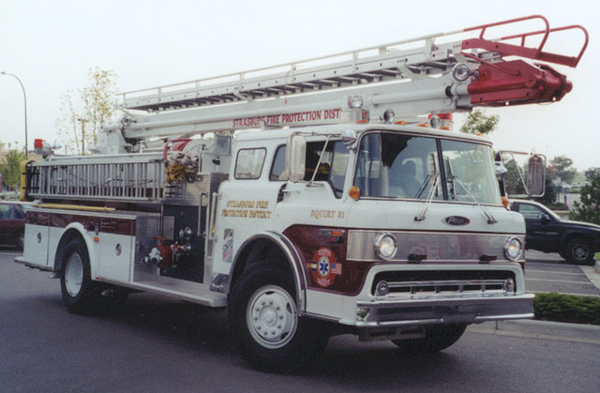 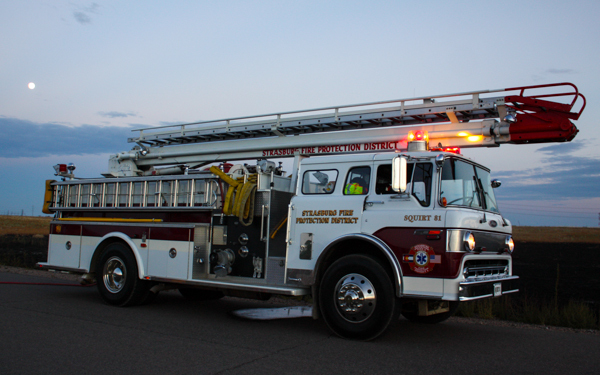 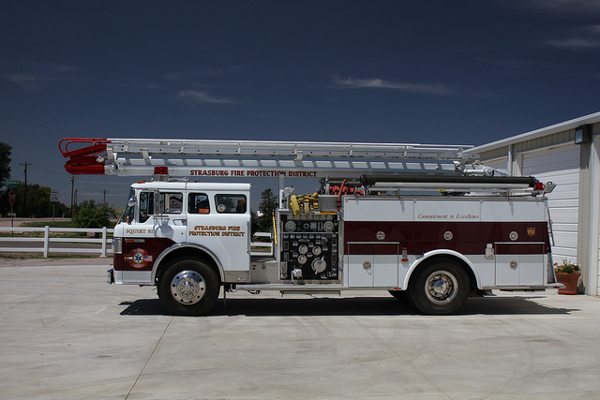 1995 Pierce Lance 75′ aerial ladder / 2012 refurbish 500 gallon water tank / 1250 gpm pump, also ran as Truck 81. 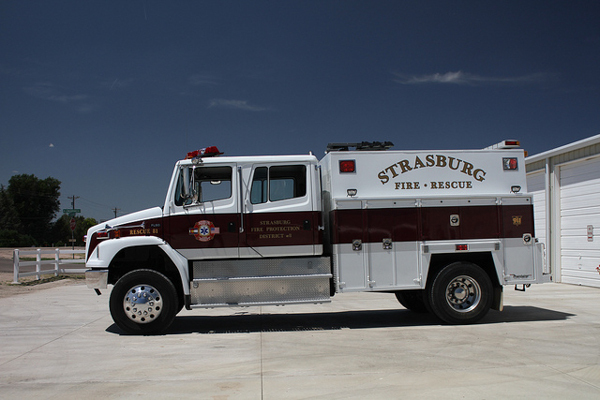 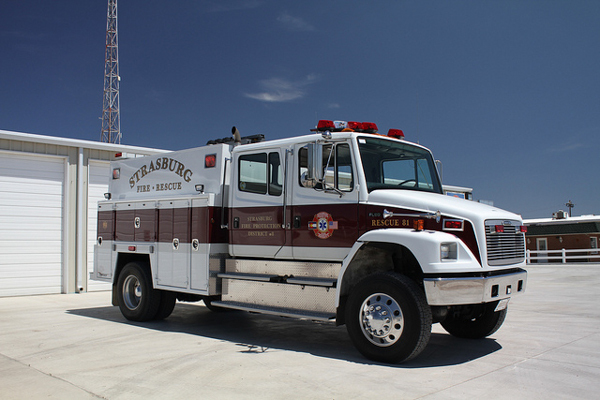 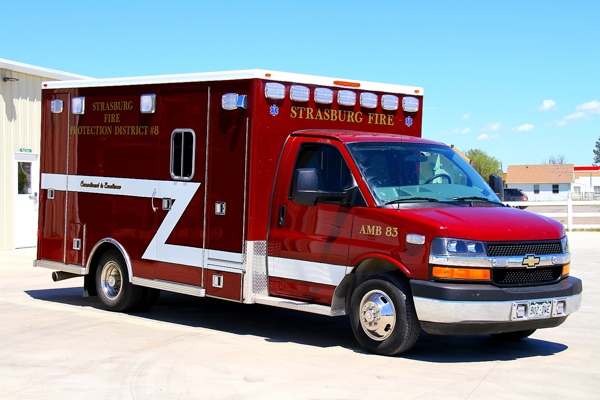 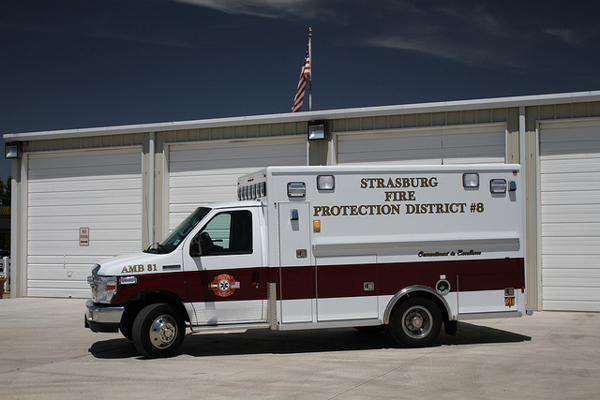 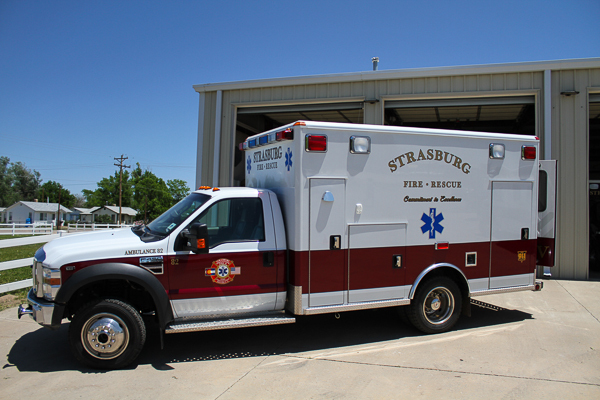 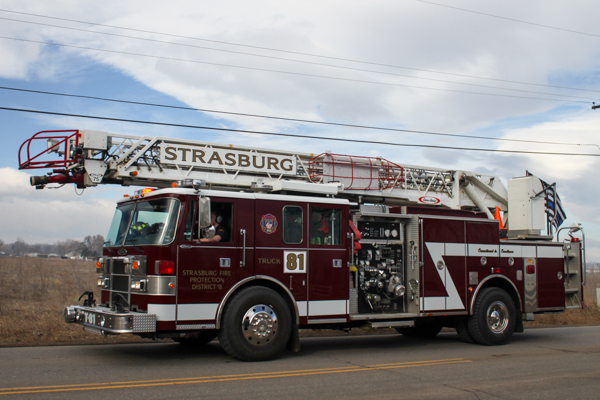 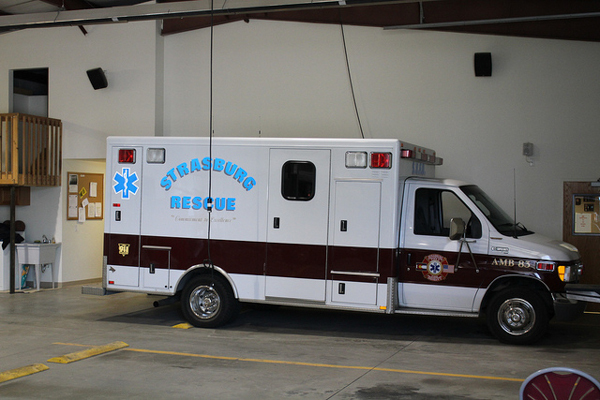 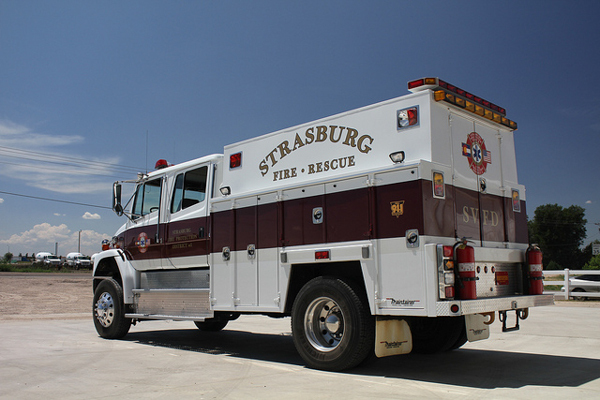 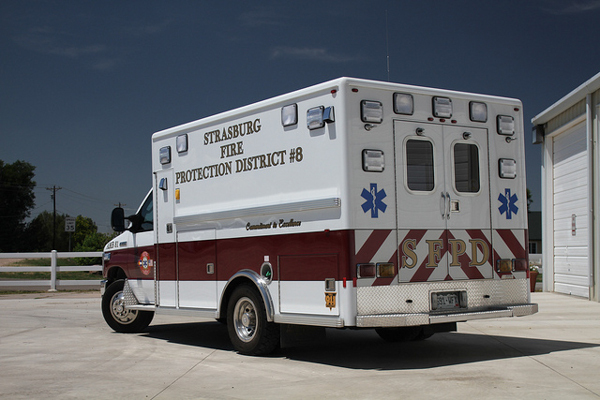 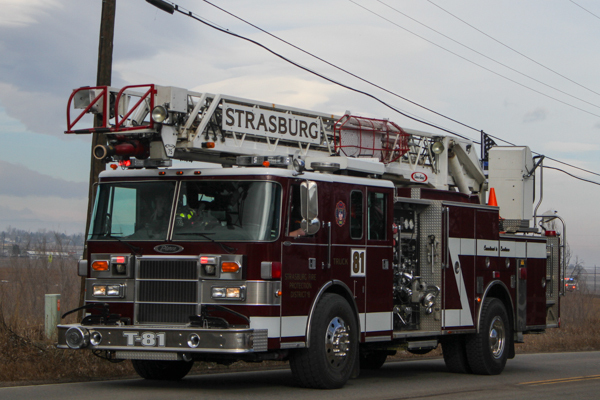 This unit was originally in service as Westminster Fire Department Ladder 3, sold to Strasburg in 2012 and refurbished by Front Range Fire Apparatus before going in service. 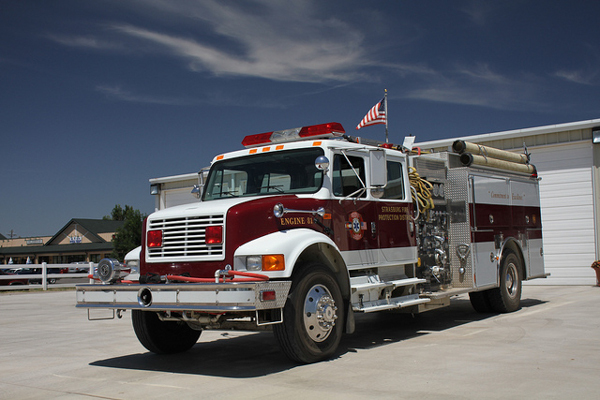 2002 Freightliner FL80 4×4 / Maintainer. 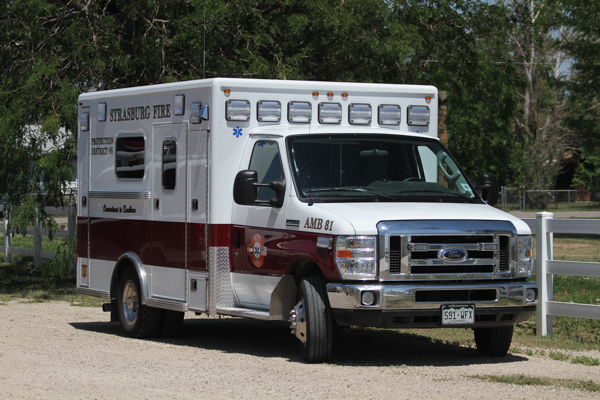 2010 Ford E-350 Super Duty / LifeLine. 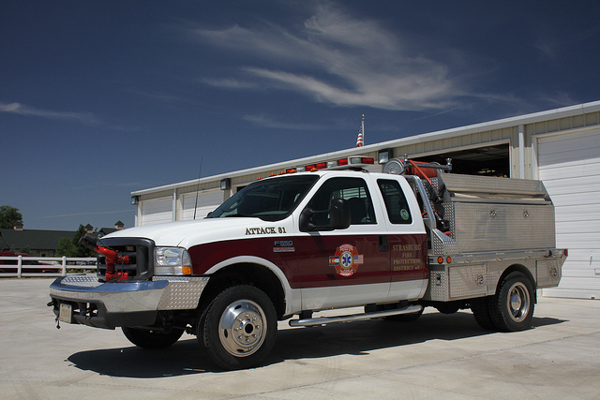 2007 Ford F-550 4×4 Super Duty / Wheeled Coach. 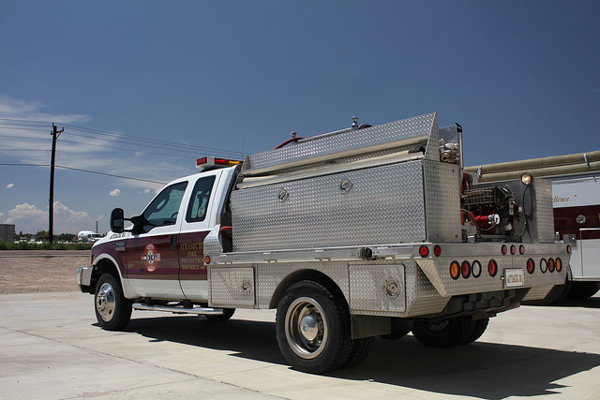 2006 Ford F-550 4×4 Super Duty 300 gallon water tank / 250 gpm pump with a bumper mounted turret. 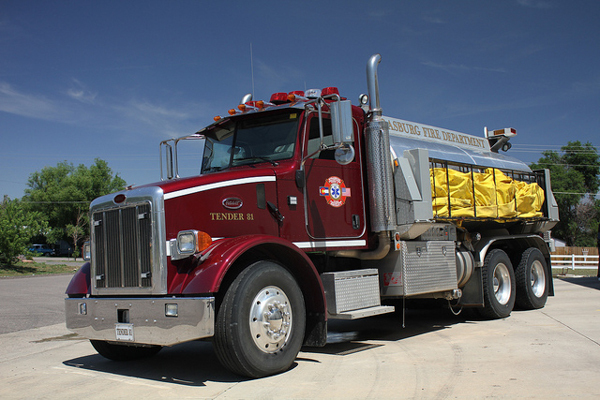 2005 Peterbilt 3000 gallon water tank / 250 gpm pump. 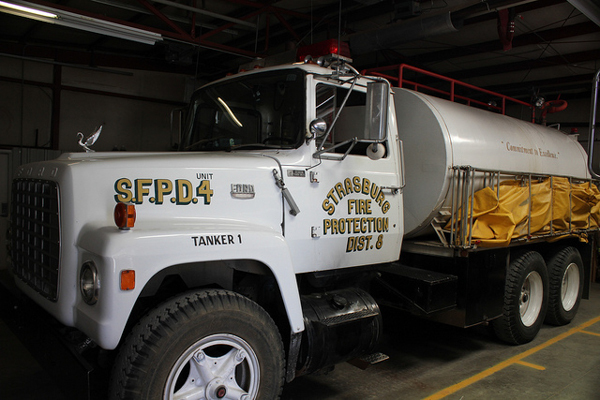 1971 Ford F9000 3000 gallon water tank, former Tanker 1. 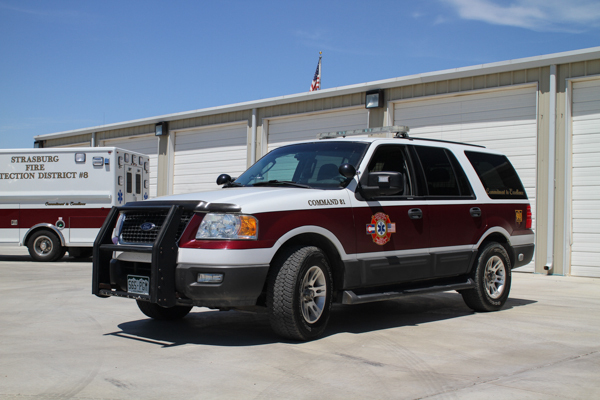 Tender 82 is a reserve, and will respond to major incidents when needed. 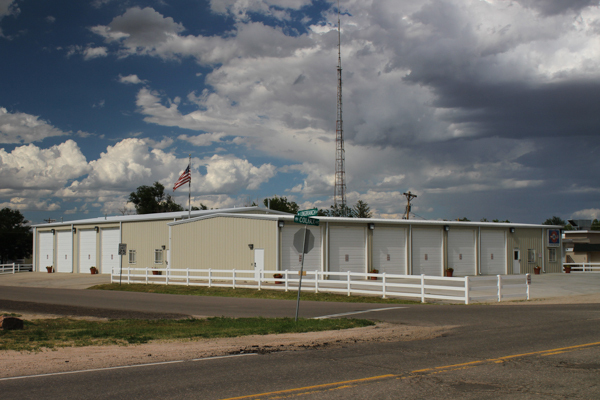 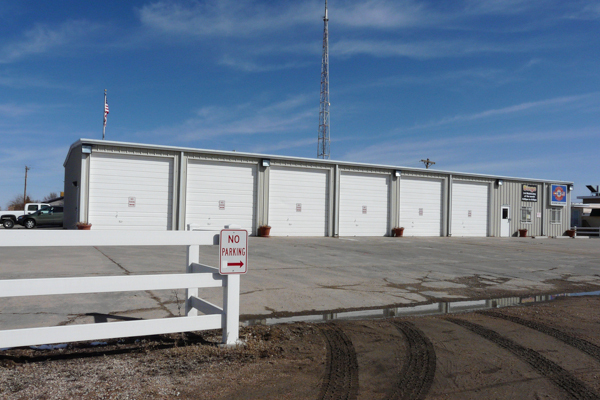 Station 81 shown here in 2010. 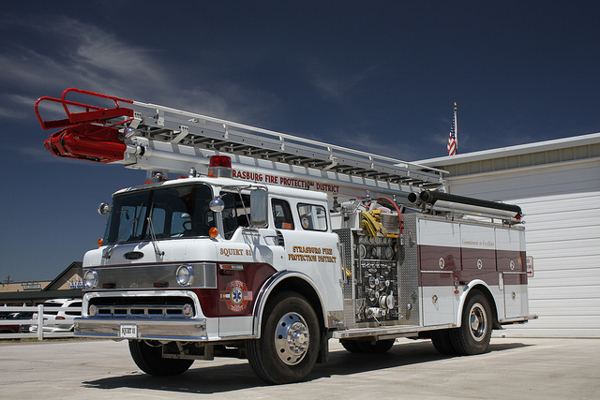 1984 Ford 8000 / Pierce 50′ Tele-Squrt 500 gallon water tank / 1250 gpm pump. 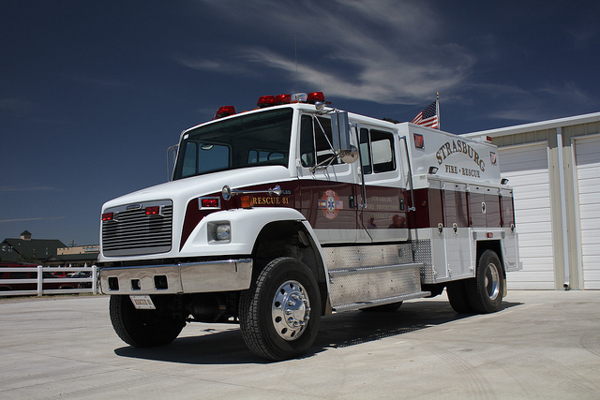 Ford E-Super Duty / AEV.